What are those educational practices that can rightly be called, “timeless”? In my long career as an education author and consultant (21 years and counting! ), I’ve had the privilege of teaching educators and leaders across North America key methods I’ve developed for prioritizing and “unwrapping” standards, writing formative assessments and scoring guides, and designing rigorous curricular units of study for every grade level and content area. However, it wasn’t until the last couple of years that I realized the timelessness of these practices. Educators know that their state or provincial standards are what they must teach their students. 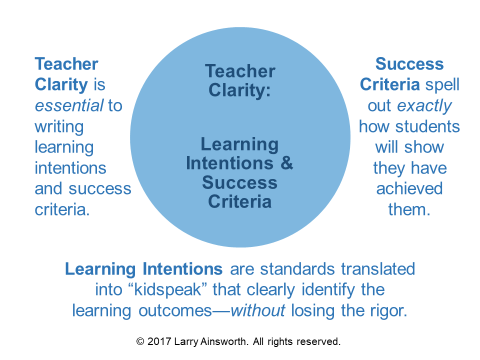 They also know that they must regularly assess their students’ understanding of those standards, and then use the assessment results to inform and adjust their teaching—selecting appropriate instructional strategies and relevant curricular materials to do so. This is the main work and responsibility of each and every teacher, from preschool through high school. And this core responsibility will not change, no matter what external changes continually impose themselves on the day-to-day life of every teacher, particularly within the United States. For this reason, any professional practice, no matter how long it’s been in use, can rightly be called timeless—so long as it remains timely, relevant to, and effective in improving student learning. Here are five timeless practices I’ve created and refined that PK-12 educators have been successfully implementing in their classrooms for years. First, I’ll define and briefly describe each one. Then I’ll show the connections between them. 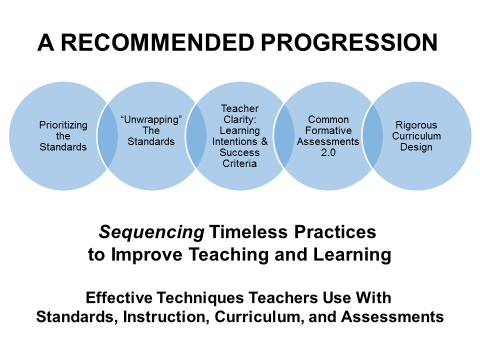 Finally, I’ll explain how implementing these practices in a recommended sequence can help teachers achieve the goal that all of us in education are continually pursuing—improved student learning for all! 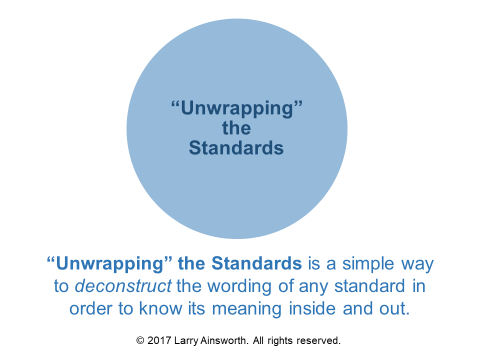 The “unwrapping” standards process shines a bright light on each and every concept (single word or longer phrase) within a standard. It’s a powerful tool for determining learning intentions, success criteria, and learning progressions. When educators “unwrap” prior to any instructional planning or assessment writing, they clearly understand the specific learning targets their students need to achieve. This enables them to design quality assessments to measure student attainment of those learning intentions. It’s not uncommon for educators to rightly question how the various professional practices they are taught in workshops go together. Often there’s a perceived disconnect between these methods. To resolve this, I always provide educators and leaders with a “big picture” that shows the intentional connections between these timeless practices. Certainly the first three of these can be done independently of one another. 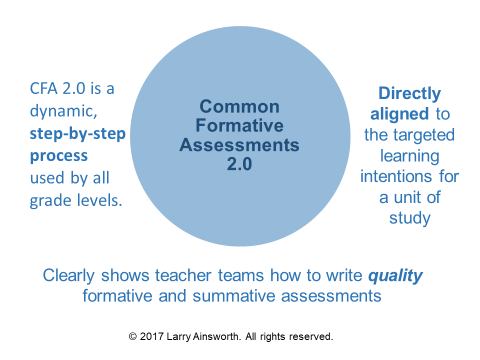 When I created Common Formative Assessments 2.0, I incorporated these first three to provide the necessary standards foundation for writing solid assessment questions. When I wrote Rigorous Curriculum Design, I included the majority of these practices plus other needed curricular components. Prioritizing the Standards. 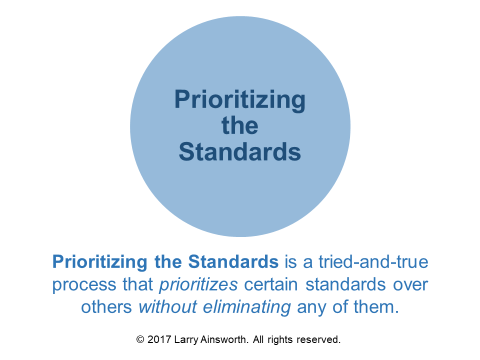 Priority Standards provide the solid foundation for planning all subsequent instruction, assessment, and curriculum design. Teacher Clarity. “Unwrapping” the standards enables teachers to then write clear Learning Intentions and Success Criteria. 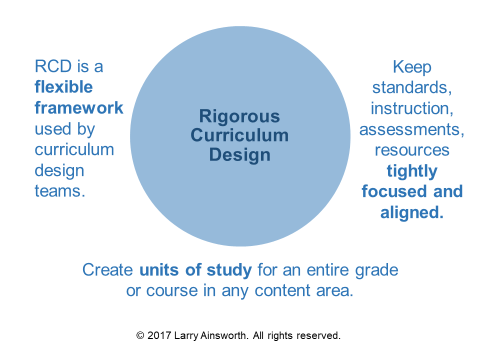 Rigorous Curriculum Design. RCD provides the comprehensive framework for creating multiple units of study for any grade or course. In addition to the timeless practices, the framework includes instructional strategies, curricular resources, weekly and daily lesson planning templates, and more. Please visit the home page of my website at www.larryainsworth.com if you’d like to see a short video of me introducing these timeless practices. Thank you for all you do for your students, and I hope this information will assist you in your important work of helping all students succeed!